"Easy dressing for gyros or Greek salad. Also makes a nice dipping sauce for Veggies. HINT: Tastes best when chilled for at least 1 hour after preparation." 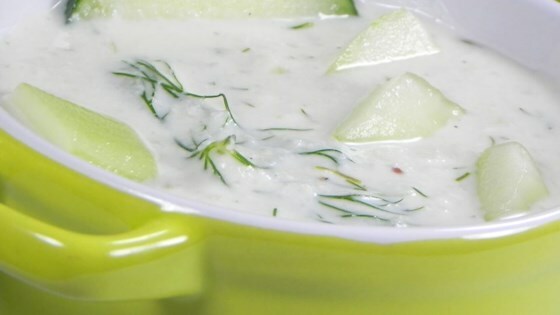 Discover Chef John's secret to making the creamiest, best-ever tzatziki sauce.